Product prices and availability are accurate as of 2019-04-24 18:32:33 UTC and are subject to change. Any price and availability information displayed on http://www.amazon.co.uk/ at the time of purchase will apply to the purchase of this product. 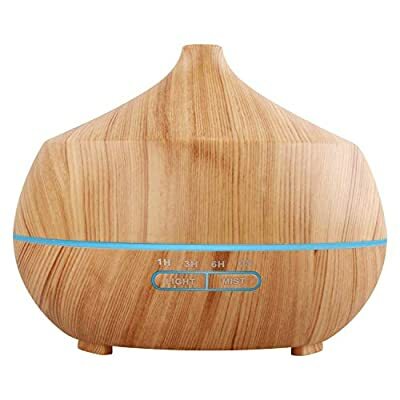 Having an essential oil diffuser can be an amazing to have in your home as they can help relieve stress and anxiety and help you, or your dog, to relax. In addition, they help to build a positive atmosphere and a pleasant smelling home. This diffuser comes in a black and grey finish and also a stunning wood grain finish. Both options have 7 different adjustable light options to suit your mood! In Chapter 2 of the Dog Cancer Survival Guide, Dr. Dressler writes that managing your emotions is mission critical when it comes to caring, and creating a treatment plan for your dog with cancer.